Cricket legend Sachin Tendulkar choosen for Bhrath Ratna with batting maestro, who retired from international cricket on Saturday, being the first sportsman to bestowed with the country's highest civilian honour. In a fitting finale to a record-breaking career spanning 24 years, Sachin Ramesh Tendulkar, a former India Captain, was chosen for the prestigious award, as he bid adieu to international cricket after his farewell Test against the West Indies ended in Mumbai. The announcement was made by Rashtrapati Bhavan within hours after Tendulkar played his 200th Test. An official statement said Tendulkar has been a true Ambassador of India in the world of sports and his achievements in cricket are unparalleled, the records set by him unmatched, and the spirit of sportsmanship displayed by him exemplary. 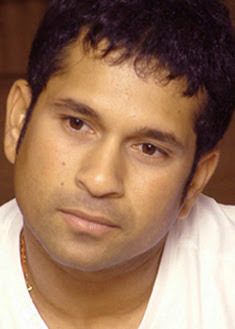 Tendulkar is also the first active sportsperson to become a Rajya Sabha member last year.